Almost all my first pots were blue and white. I then went through a brown period of muted glazes on stoneware. Recently, I have returned to blue and white through my use of willow pattern decals, which I have fired on to unusual shapes and surfaces. 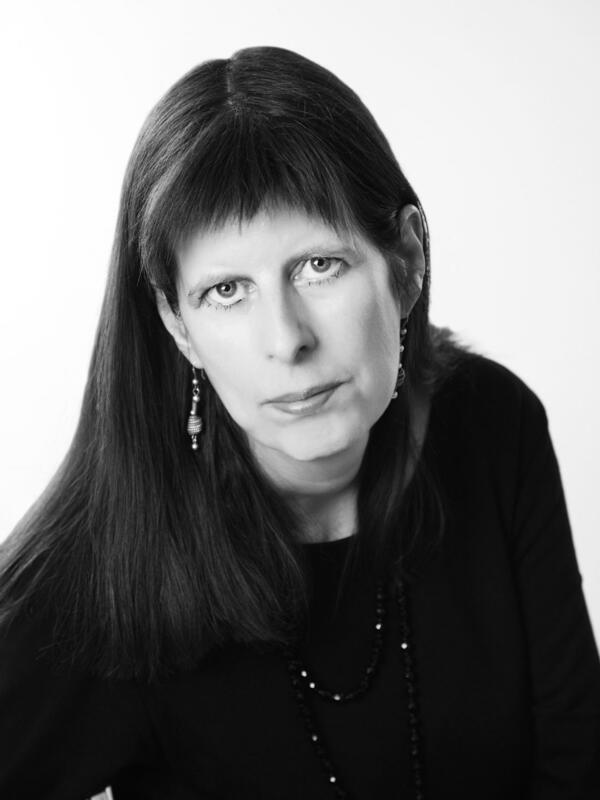 I have always liked the combination of strong, opalescent white and cobalt blue, my wardrobe reflects this colour preference. Like many children I had a treasure box when I was young and its hoard included a pair of tiny Delft clogs, tin-glazed earthenware painted with cobalt blue flowers. They were cheap tourist kitsch, but to me they were beautiful. But is a beauty that has comes at a price – it is a suffering for cobalt. The pottery industry has been responsible for more than its share of child labour and dangerous working conditions. The lives of workers in pre-1950 Stoke-on-Trent is evidence of this. Thankfully, factory reform and legislation on child labour, clean air and health and safety has ended these practices. But today, the production of ceramics still results in human misery, albeit in faraway places. And it is a wretchedness in which many potters are complicit, a suffering for electric, midnight, indigo, cerulean, ocean, ultramarine, navy, air force, lapis lazuli, sapphire, royal, peacock, teal, Egyptian, Persian, Prussian and United Nations blue. 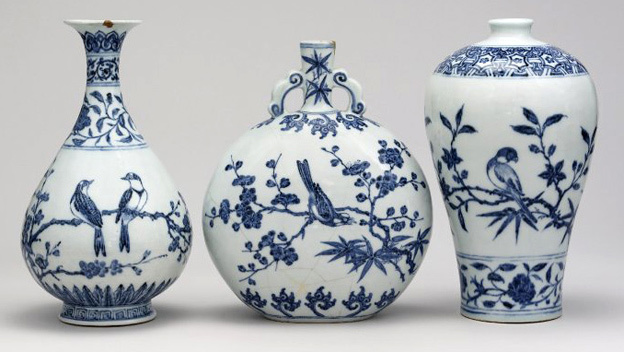 Lives have been shortened to make the imperial blue and white of Ming Dynasty porcelain, a blue that always derives from cobalt. 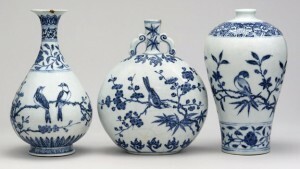 The Ming dynasty potters of Jingdezhen drew their inspiration from across the Indian Ocean to Islamic Iraq. It is likely that cobalt was first used in significant quantities on pots in what is now Iraq, in Samarra and Basra around 850 CE. Fritted cobalt was painted on top of a white tin and lead-based glaze, in a technique that is now known as majolica and spread through the migration of potters to Egypt, Moorish Spain, across Europe to the Dutch town of Delft, and then to England. The potters of Jingdezhen used their cobalt under the glaze, painting mythical creatures, flowers and leaves on to biscuit-fired porcelain. 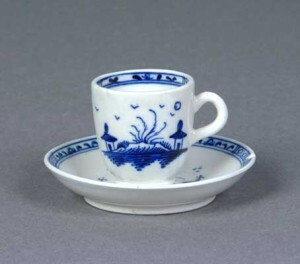 Three centuries later it is the same technique that was used by Thomas Turner and Ambrose Gallimore at Caughley in Shropshire, one of England’s first manufacturers of porcelain. By 1775, Caughley Porcelain was producing delicate coffee demitasse and tiny blue and white tea bowls and saucers. Cobalt is still used widely in ceramics, usually as cobalt oxide or cobalt carbonate powder, two among a range of chemical compounds that are generically termed “oxides” by studio potters. 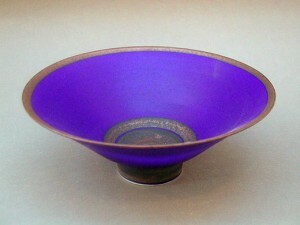 A few potters use cobalt to colour the clay body itself, or it can be added to a slip recipe. 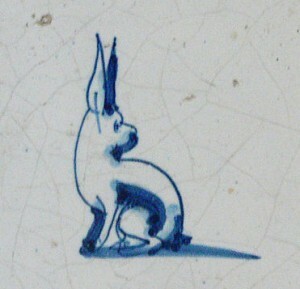 Cobalt oxide can painted or printed under a glaze, or in as in delftware, painted over it. 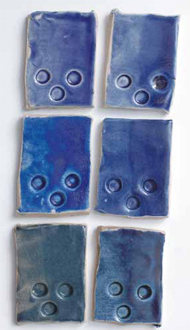 Cobalt oxide or carbonate is also an ingredient in many blue glaze recipes. It is such a colouring agent that just a 0.1 per cent addition to a basic glaze recipe will produce a strong blue that does not burn out or fade at stoneware and porcelain firing temperatures in excess of 1250 Celsius. Cobalt is also a constituent of blue over-glaze colours and decals fired on to pre-glazed work, as with my willow pattern pieces. There are is no strong blues without cobalt, but it is toxic. You can be exposed to poison through the dust you breathe in during heating or grinding. Those who painted blue dragons and flowers on to imperial porcelain or delftware made themselves ill by licking their brushes. The dangers are from long-term exposure and symptoms of cobalt poisoning include personality changes and cardiomyopathy. The potters of Basra and Jingdezhen used cobalt from Persia, often in the form of smalt, which is cobalt compounds that are fused into glass, then ground down into a powder or ‘frit’. This form of cobalt is more stable when transported, safer to use, as well making for finer decorations that do not bleed into the glaze when fired. Today about 50 per cent of the world’s cobalt comes from the Democratic Republic of Congo (DRC). Cobalt ores are found alongside the copper deposits of Katanga province and it is extracted as a by-product of copper mining. Heterogenite, a cobalt ore, is another source. It is extracted in large commercial mines, but about 20 per cent of the DRC’s cobalt exports are dug out of the ground by artisanal miners. An artisanal miner is a euphemism. It implies that the ore was lovingly dug up by someone who looked upon their job as a vocation. But few willingly take on this work, with most artisanal miners forced underground by grinding poverty. Many heterogenite mines are not owned by large transnational companies, rather local landowners who hire labourers to extract the mineral. They use the most basic tools to dig out the ore from underground tunnels. Once brought to the surface, it is usually women and children who sort and wash the heterogenite stones, with families working for themselves as part of the informal economy. It is dangerous work, and every year miners die through rock falls. Mining families also suffer from lung disease and there is a long-term impact on whole communities as children miss out on their education. Although there are regulations covering artisanal mining and child labour, decades of war and poor governance mean that the DRC is a failed state, so is unable to enforce them. After the rocks have been cleaned, they are carried by foot to a specialist market – backbreaking work in itself. Here traders – most of them Chinese – buy the ore, regardless of where it has come from. In turn, these traders sell the rocks on to larger companies in the DRC which smelt and export it. It is then processed before being purchased by companies who use it in pigments, isotopes for radiotherapy, metal alloys and lithium-ion rechargeable batteries. According to Amnesty International, which has recently looked into human rights abuse in the DRC’s mining industry, one of largest companies at the centre of this trade is Congo Dongfang Mining International (CDM), a wholly owned subsidiary of China-based Huayou Cobalt. In the last ten years, civil war in central Africa has raised awareness of the role of unregulated trade in prolonging this violence. 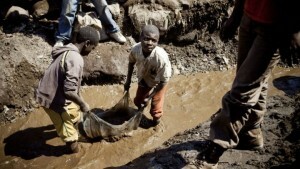 Organisation such as Amnesty and Oxfam use the term ‘conflict mineral’ to describe situations where the mining and sale of such minerals finances armed groups. Tantalum, tin, tungsten and gold ores – the 3Ts and G – are classed as conflict minerals in the United States. Here the Dodd Frank Act of 2010 obliges US-registered companies to determine whether these four minerals came from the DRC or neighbouring countries, and, if so, to carry out a ‘due diligence’ review to check if the sale of these minerals is funding armed groups. Cobalt is not classed as a conflict mineral, but Amnesty International believes that the appalling conditions of artisanal mining amount to human rights abuse. While companies such as Apple and Samsung state they have a zero tolerance policy towards child labour, Amnesty accuses them of failing to carry out checks on their supply chains. Most of cobalt is now used to produce mobile phone batteries, but significant quantities are still used to decorate domestic ceramics. While studio potters can purchase ethically sourced cobalt in the UK – from Potclays, for example – it is very likely that cobalt from artisanal mining in the DRC ends up on some of our pots. Twenty five years ago, the curator Oliver Watson coined the term “the ethical pot” to describe the austere Sung revival style of ceramics favoured by Bernard Leach. Watson described a pot that was “lovingly made in the correct way and with the correct attitude, would contain a spiritual and moral dimension.” The story of cobalt shows that we need to revisit the idea of the ethical pot to account for the materials from which it is made.